Find the most recent development version on github. Note for users of tukui.org: I've disabled comments, I can't manage to keep up-to-date here. Contact me via https://www.wowinterface.com/downloads/ ... l#comments if you want to talk to me. BREAKING NEWS: As of SanUI-7.3.0.0, I cannot include Tukui itself anymore due to a change of license terms. You will need to download and install Tukui yourself from here. Please do so before running SanUI for the first time. The installation procedure of Tukui will start. Just klick "Ok" (or whatever's there for you) 4 times and let it reload your UI. After that, you're asked if you want to import the WeakAuras of SanUI. It's save to say yes here. A reload will follow. Type "/tukui move" to move different aspects of the UI. Configuration of Tukui (particularly the UI-Scale) can be done via typing "/tukui config"
Besides the minimap is a box with an 'a'. Click it, a menu will appear. You can switch Modes there. Access to different addon configurations can be configured in SanUI/profiles.lua. SimpleAuraFilter let's you reclaim your buff area by filtering. Simply shift-rightclick any buff you don't want to see anymore. It will be cancelled in this process, but never again show up, even if you have it. Note that there different profiles for Healer, Chicken, Bear and Cat mode, which have to be configured separately (just activate the right mode and go nuts shift-rightclicking). Click stuff. There are a lot of menus, go find them (special hint: middle and right mouseclick on the minimap). About Config\profiles.lua: Its purpose is to support user-made modes. A mode is a state of the UI consisting of several profiles for different addons or parts of the UI. It's commented well, so read there (and I'll help via forums). Important: If you're not a druid, you probably want to edit this. If you need help, let me know though the forum. Q: Nothing works. What could be happening? --> A: You'll need to download and install Tukui yourself. Q: Is this a complete interface for a raider? --> A: Probably not. You might at least want a boss mod, clique, and bugsack/buggrabber. Maybe a Damage Meter (I use Details). Q: You've skinned CoolLine. Will there be problems with AddOnSkins Tukui? --> A: No. I did test, and nothing bad happens. You might want to disable the CoolLine and Skada skins of AddOnSkins Tukui, otherwise those will be skinned twice. That's not a real problem though, so if you like it that way, keep them enabled. Q: I updated, but where are the new WeakAuras displays the changelog mentions? --> A: You need to type "/tukui addweakauras" (no quotation marks) ingame to import the new ones. 6.0.2.0 Removed Energized, Tukui_Broker, Tukui_Filger. Added WeakAuras. Added the option to import WeakAuras displays (right now, resto druid only). Added Raidbuff information below the minimap. Updated Tukui to T16. Added WeakAuras skin. 5.4 SanUI revived. Numbering scheme now follows Wow patch numbers to indicate compatibility. Everything ported to current Wow, numerous updates. Now ships without WTF folder. Feral mode splitted up into SanBear and SanCat. 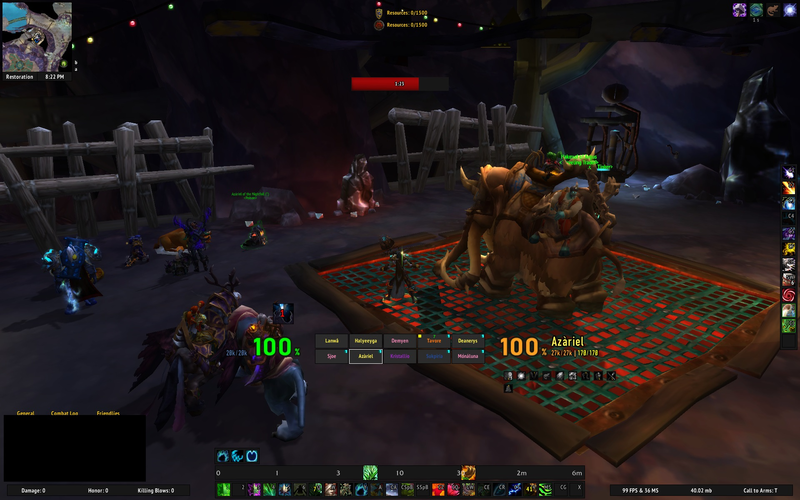 1.1 Now with 100% more chicken: Added eclipse bar, moonkin timers. Updated tukui to 12.28, integrated latest changes from elv's nameplate enhancements. Added a gcd bar. The latest version of this addon is 8.1.0.1 and was uploaded on Feb 02, 2019 at 13:04. This file was last downloaded on Apr 22, 2019 at 07:20 and has been downloaded 1886 times.